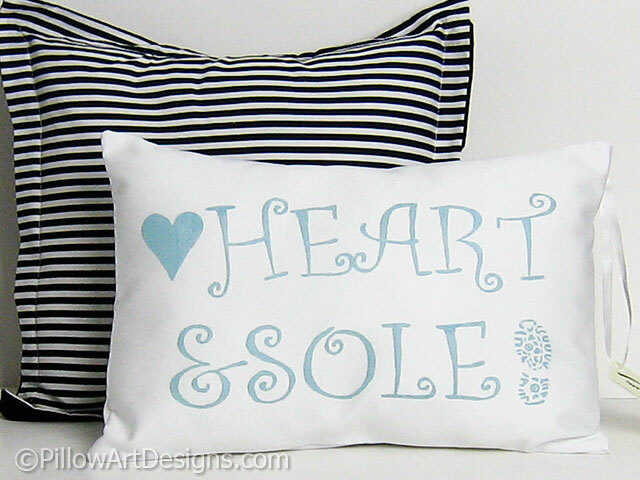 A unique and fun sports ornament pillow, the words Heart and Sole are hand painted in ice blue fabric paint on the front of this white cotton twill pillow. 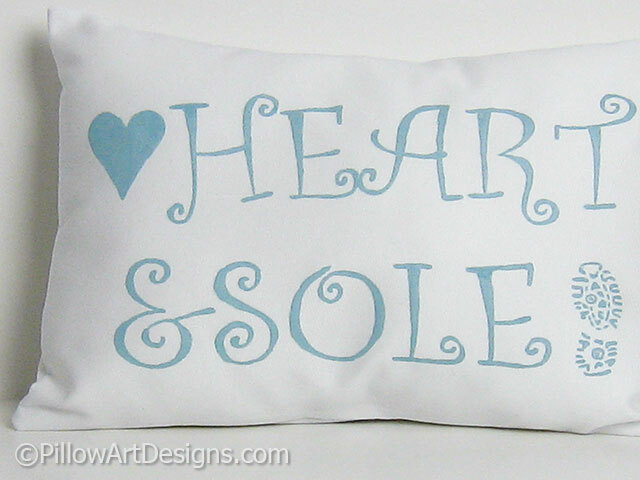 Size is 10 inches X 14 inches. 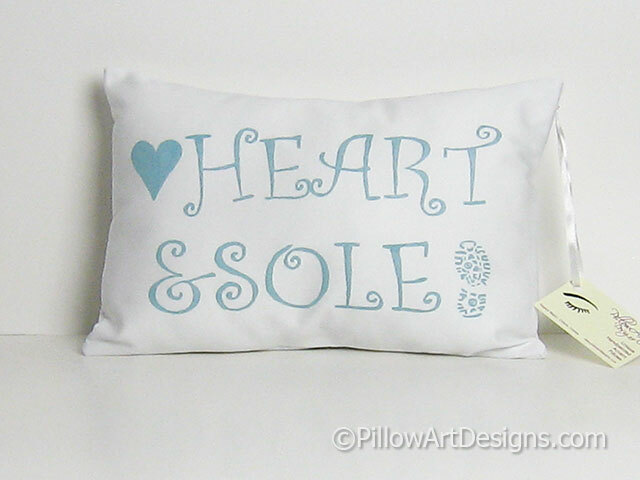 Pillow comes stuffed with premium hi loft polyester fiberfill, all set to display or give as a unique gift. 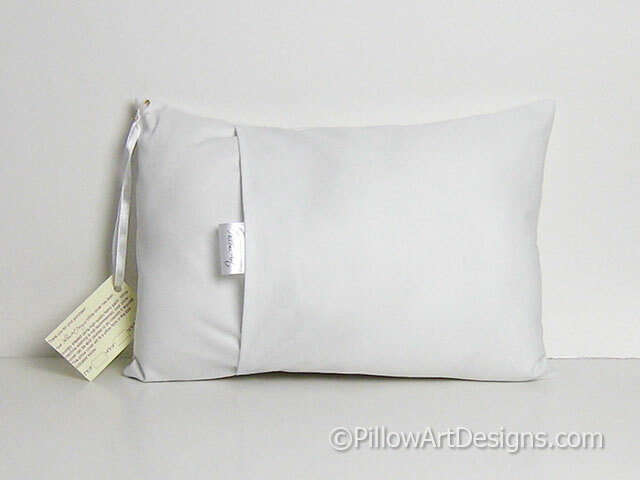 Fabric is white cotton twill, envelope closure. 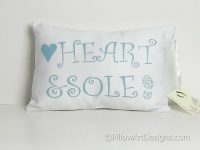 Hand wash recommended (remove stuffing), lay flat or hang to dry and iron as needed, avoiding direct contact with painted area. Handmade by me, ready to ship!